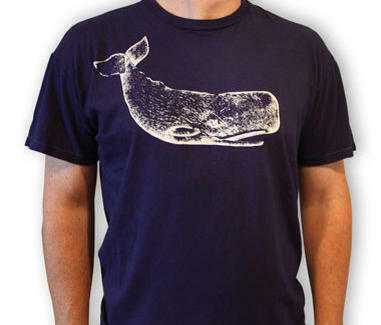 These NC-made recycled-cotton tees are inspired by life on the Atlantic coast and employ images like the Jules Verne-suited "Diver", the giant "Sperm Whale", and a ringer tee with two fists clenching a rope called "Hold Fast", which is exactly what Standard & Poor's advised you to do with that stock after Fast Five. Paul Walker is back, baby!! !